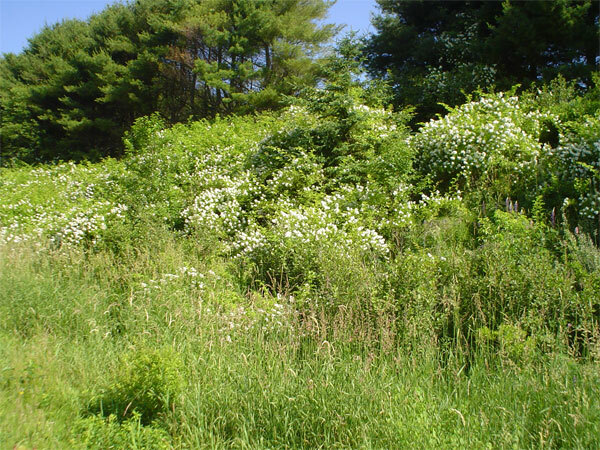 Summer has arrived once more in Nova Scotia and everything that has been asleep during the minus zero temperatures has come alive again. 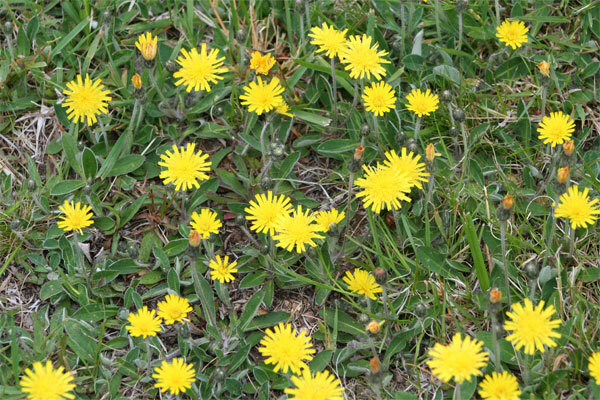 The first flowers to appear are the very lovely yellow dandelions, but for us they are more of an infestation or epidemic, as they try to cover every square inch of grass. 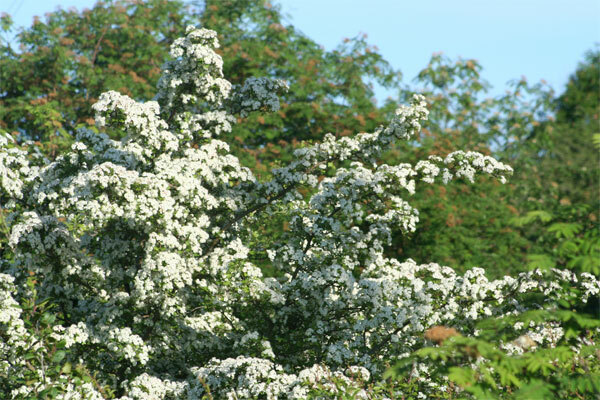 The month of May was spent, plucking them, digging them out by the roots, trying to kill them with salt, vinegar and any other sure fired remedies found on the internet. But the dandelions live on. We do get a respite until the next cycle in September. Apart from just enjoying their colour, if anyone has any good recipes, then perhaps we should use them as a crop. 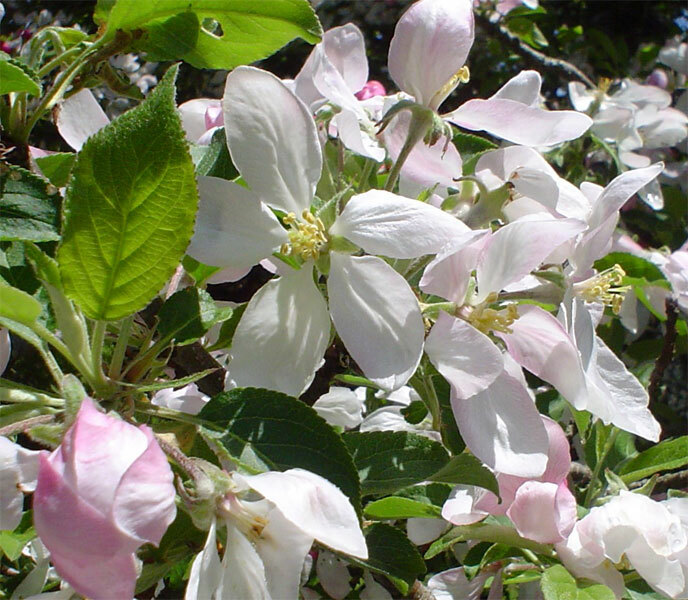 The apple blossom has already gone and we can look forward to an abundance of apples in the fall. It is lupin season right now and each year we are amazed by the banks of lupins that bloom along the highways, walking trails and coves. 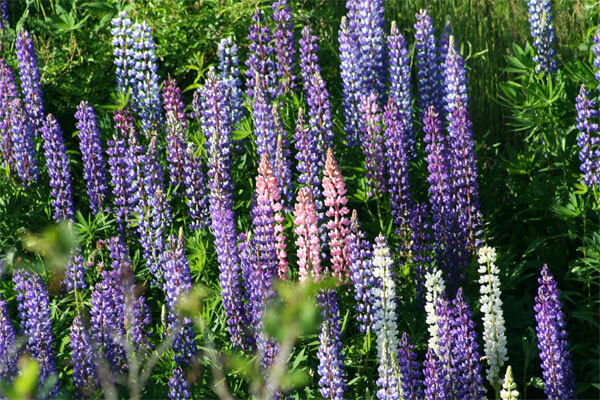 I am always reminded of Monty Python’s sketch about roast lupins, braised lupins, lupin meringue pie, lupin sorbet……. I wish we could use them too. and the roses are just in bloom. These dandelion like flowers look much finer that the ones that grow in our garden. 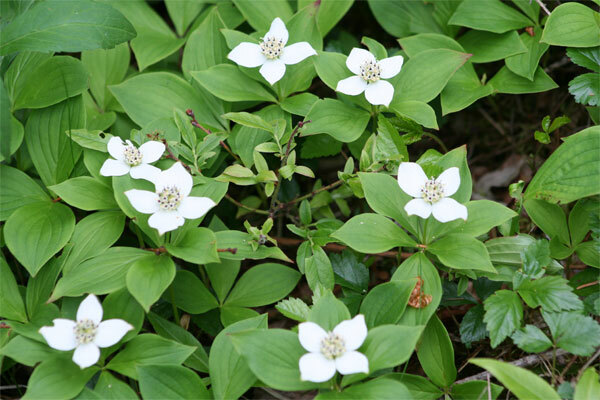 These very white flowers are bunch berry and later have bunches of red berries on them, which are seemingly edible, but perhaps not too fruity. 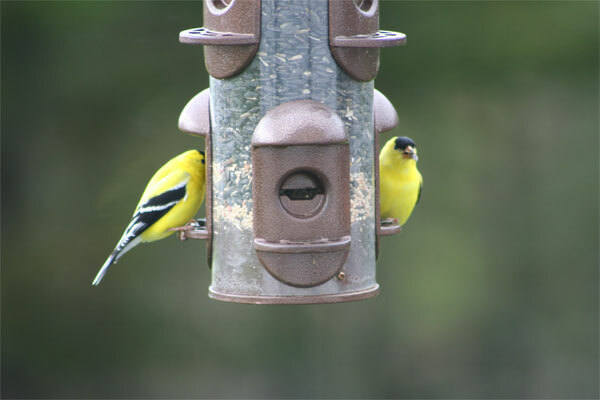 In the garden, the Gold Finches have their bright yellow summer plumage back. The Blue Jay looks his usual handsome self. 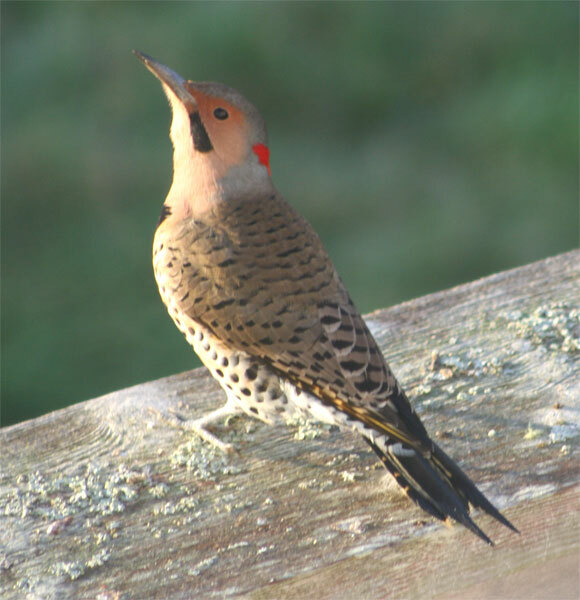 And the Flicker is useful at eating up the ants. 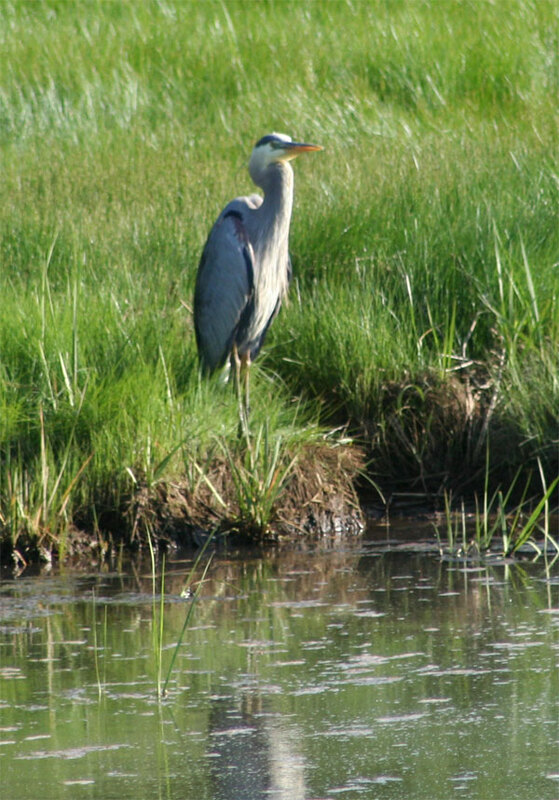 The heron has always been a favourite of mine and we see at least 4 a day around Back Harbour at Lunenburg. 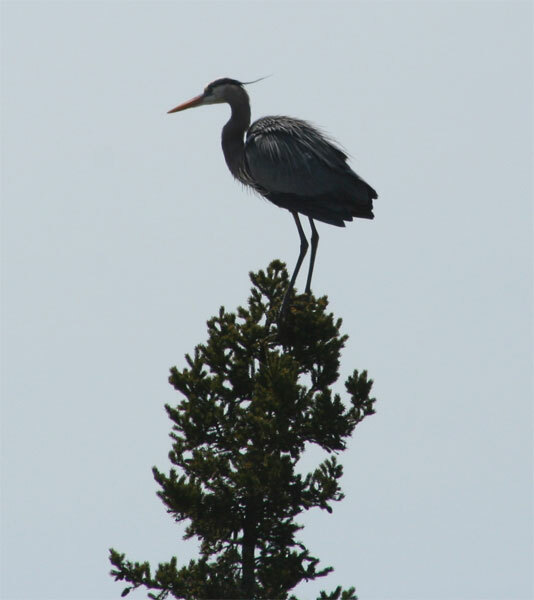 This one looks a bit ungainly on top of this pine tree. The ospreys have returned to the many, many platforms in the area. I will write a special blog just for them.